Kaunas - a city of central Lithuania on the Neman River south of Riga - was fated to become the capital of Lithuania in the 20th year of the last century, which can be considered the Gold Age of the city governed by its first Burgomaster Jonas Vileisis. Founded in the 11th century, it was a medieval trading post and a Lithuanian stronghold against the Teutonic Knights. The city is also surrounded by the remains of the circle of 9 forts, constructed at the times of the Russian Empire. One of the forts - the Ninth one - hosts the museum for commemoration of those who suffered from Fascism and Jewish Genocide. The stronghold in Papilio (Kaunas) was built in the 13th century. 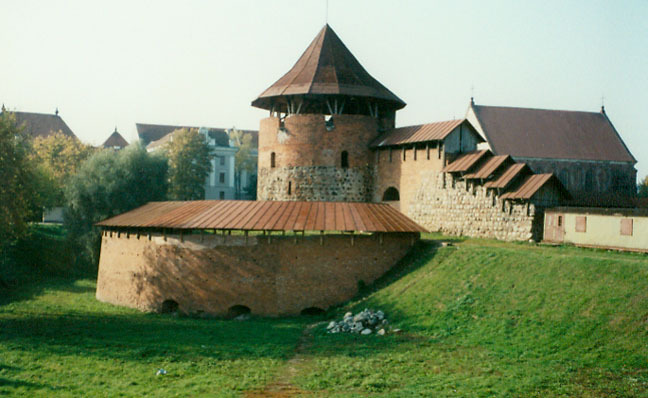 It was Lithuania's first defensive bastion and the only double-walled castle in all of Lithuania. The surrounding walls were initially over 2 m wide and 13 m high. In 1362, however, after a three-week long siege, the crusaders destroyed it. By 1368 a second, stronger castle had been constructed. The castle originally had four towers, but over the centuries the river Neris has washed the towers away and the northern walls have collapsed. The remains of the castle rebuilt by Vytautas in the beginning of the 15th century reached our times. However, only the third of the castle survived.